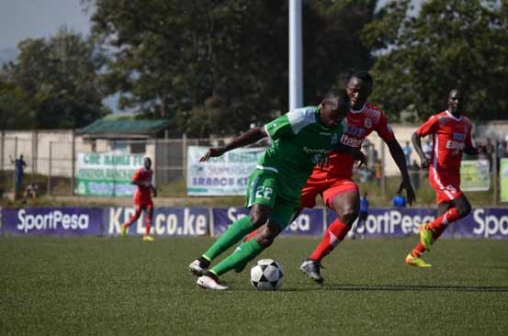 Gor Mahia are set to take on Ulinzi Stars at Kericho Green stadium on Saturday. They need only one point to seal their record 16th title. This puts Kogalo four titles ahead of second placed AFC who have won 12 titles and Tusker who have won 11 titles. Since Dylan Kerr took over as coach, Gor Mahia have gone on a winning spree that has left them 14 points ahead of their closest challengers. And they have done this while playing brilliant attacking football that has seen them score 46 goals. It is for this reason that Kerr is unlikely to be looking for a draw. He will be going for an all out win. “Most clubs opt to play a very defensive game, especially when they are playing against us but I tell my players to always enjoy themselves on the pitch,” said Kerr to the Nation. And aside from the disappointing match against Mathare United, Kerr has found ways to keep his side motivated where other teams would have taken their foot off the accelerator pedal. “I like the spirit I see during training and I tell them to maintain as much of it as possible on the pitch. We attack as a unit and also defend as a unit because every player knows when it is time to advance and when it is time to retreat.” he continued. Two players who will be especially motivated are Meddie Kagere and Jacque Tuyisenge, both of whom are in the running to be the league top scorer. Yet both are completely uneselfish and often pass the ball to a more open player who is in a better scoring position. The last time these two sides met was in Kisumu soon after Ze Maria had quit. Gor Mahia relinquished a two goal lead to settle for a 2-2 draw. Ulinzi will be hoping for another good performance. “We missed many players in our midweek match and that had a very bad impact on our performance against Leopards. That was a game we could have easily won but we had to do with fringe players. “This time we have a full strength squad. Geoffrey Kokoyo, Oliver Rutto and Samuel Onyango are all back from suspension and I am confident of a good result on Saturday,” said coach Benjamin Nyangweso to the Nation. Kudos to the boys, the EC, the technical bench and the amazingly supportive and loyal fans! In victory and glory, in defeat and agony Kogalo for ever!